Is it a Sore Throat – or Strep? A sore throat is one of the most common reasons for seeing a doctor and is caused by a viral or bacterial infection of the cells that line the throat. Once the infection sets in, the body reacts with swelling, redness, and pain. Other symptoms may include general irritability, muscle pain, runny nose, headache, decreased appetite, difficulty swallowing, and fever. Ten percent of individuals with sore throats have Group A Streptococcus infection, also known as “strep.” The textbook version of strep includes a high fever, sore neck (from large lymph nodes), a thick mucus covering on the tonsils (exudate), exposure to others with strep, and an absence of cough. If not treated, some cases of strep throat infection can lead to kidney or heart damage. Early detection and treatment by antibiotics, however, can greatly reduce the risk of damage and also reduce the length of the illness by almost a day. If your child has some symptoms of strep, it is important to visit your pediatrician as soon as possible. If the symptoms last longer than a week, other things could be wrong such as gastric reflux, post-nasal drip, allergies, persistent cough, or mononucleosis. 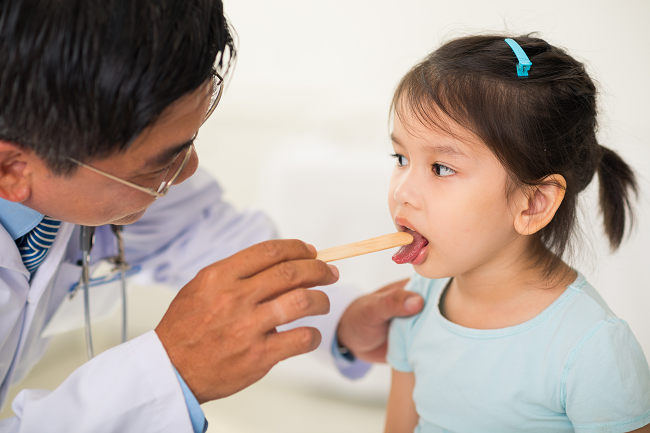 To diagnose strep, your child’s doctor will go over medical history and conduct a physical examination. However, it is impossible to diagnose strep just by looking at your child’s throat. If several symptoms of strep are present, the pediatrician will perform a “quick strep test” to help confirm the diagnosis. In this simple test, a sterile swab is rubbed over the back of the throat and tonsils to get a sample of secretions — the results only take about 10 minutes. If the test is positive for strep bacteria, treatment can be started right away. If this test is negative, a throat culture may also be obtained in the same manner to confirm the negative result, but these results are not available for 48 hours. Sore throats not caused by strep bacteria are treated in the same way but without antibiotics. Antibiotics do not help sore throats caused by viral infections, and the use of antibiotics can cause serious side effects like diarrhea and fungal infections. Worse yet, people who use antibiotics but do not really need the medications increase their chances of becoming drug-resistant. The organisms that cause sore throat spread from contact with infected individuals, contaminated surfaces, or droplets of saliva released while coughing or sneezing. To prevent a sore throat, be sure to keep community areas clean and encourage your children to wash their hands often with plenty of soap and water. 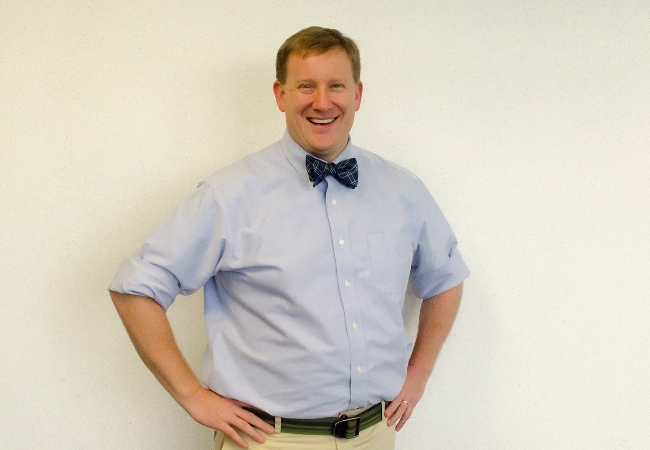 Dr. Greg May is dedicated to providing a comprehensive range of family medical services to the Lookout Mountain communities of Tennessee and North Georgia. His family practice includes primary care representing all internal medicine subspecialties (with monthly visits from Erlanger cardiology and urology specialists) and diagnosis and treatment of acute and chronic illnesses for patients age 6 and up. Learn more about Erlanger Primary Care – Lookout Mountain or book an appointment by calling 423-778-9210. 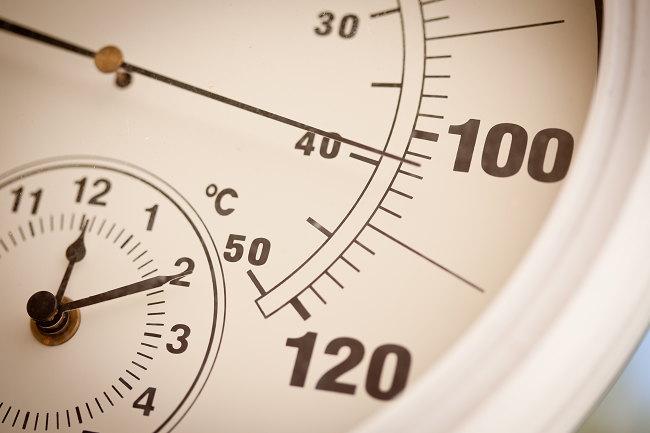 Is the weather too hot to handle?